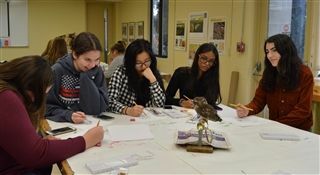 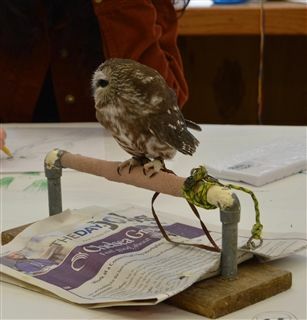 The Denison Pequotsepos Nature Center brought a saw-whet owl to Ms. Zweir’s Art III class on Monday for the double period. 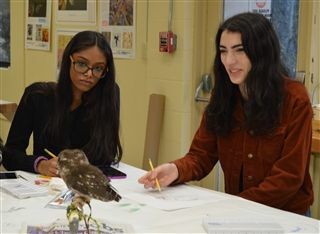 The students sketched and created watercolors of Cleo, the owl. 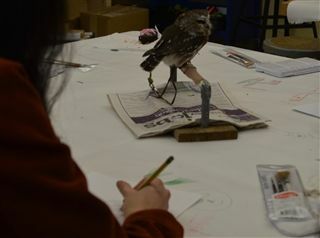 They also took photographs of Cleo so that they can create oil paintings later on.